The Giclee process has changed art reproduction forever because, unlike other printing techniques, Iris inks blend into paper or canvas surfaces. Molinas Giclees are all hand embelished. 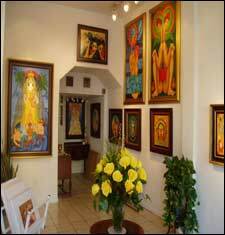 View our beautiful gallery of Molina's hand painted original works. Mediums include oil on canvas.